Are Lone-Wolf Terror Attacks Preventable? A key leader in Al Qaeda in the Arab Peninsula (AQAP) released video yesterday celebrating the attack on Charlie Hebdo in Paris, the attack on the “Draw Mohammed” Contest in Texas, and the Chattanooga shooting in the United States. The video also calls for new lone-wolf attacks against targets in the United States. The video features Abu al-Miqdad al Kindi, who escaped custody from a prison in Yemen, has become a key leader and spokesperson in AQAP. On the same day, Ibrahim al-Asiri, AQAP’s chief bomb maker, released a statement via AQAP’s Twitter account echoing the call for additional strikes against the United States. The ability of organizations like al Qaeda and the Islamic State to radicalize followers in the West to carry out individual, decentralized attacks represents a significant threat. And American security officials have long fretted about the danger posed by lone-wolf attacks. Unlike more complex operations like those of September 11, lone-wolf attacks are significantly cheaper to carry out and less likely to be exposed. While lacking the large-scale impact of more complex operations, lone-wolf attacks nevertheless generate the publicity and state of fear that is the goal of the terrorist groups. What do you think? Are lone-wolf terror attacks preventable? What should the United States and other countries threatened by such attacks do to help prevent them? Less than 24 hours after ISIS-affiliates launched suicide attacks at two Zaydi Shiite mosques in Sana, Yemen, killing more than 130 people, the United States announced it would withdraw its remaining ground forces in the country. The United States closed its embassy in January after Houthi rebels deposed the country’s president, Abd Rabbuh Mansur Hadi. Despite closure of its embassy and the formal withdrawal of diplomatic personnel from the country, the United States continued to maintain a special operations force operating on the ground in Yemen, attempting to counter what it saw as the growing influence of al Qaeda and ISIS affiliates. Commentators now worry that the withdrawal of US Special Forces from the country could undermine counter-terror operations in the region and embolden al Qaeda in the Arabian Peninsula (AQIP). What do you think? What effect, if any, will the withdrawal of US Special Forces from Yemen have on the region? Will AQIP seek to destabilize the Houthi regime? Will it expand its operations beyond Yemen and target US and Western assets elsewhere? Should the US have withdrawn its forces? Why? Houti rebels celebrate advances in Sanaa, Yemen. The government of Yemen fell yesterday after Houthi rebels captured the Presidential compound and much of the capital, Sanaa. President Abdrabbuh Mansour Hadi and his entire cabinet tendered their resignations and most foreigners and embassy personnel fled the country. Mansour had been a key US ally in anti-terror operations in the region, particularly in operations targeting al Qaeda in the Arabian Peninsula (AQAP), the al Qaeda branch widely recognized as one of the most active in the world. AQAP had claimed responsibility for the attacks against the satirical French journal Charlie Hebdo and had conducted dozens of operations in Yemen. In a news briefing yesterday, the White House asserted the coup would make no difference in US operations and would continue anti-terror operations in Yemen. The Houti have regularly spoken out against any foreign intervention in Yemen, and US drone strikes in the country have been widely unpopular. The United States suspended drone operation in Yemen in December but remains ready to launch operations using drones and/or special forces to target al Qaeda forces in the region. What do you think? How will the change in government in Yemen affect US anti-terror operations in the region? 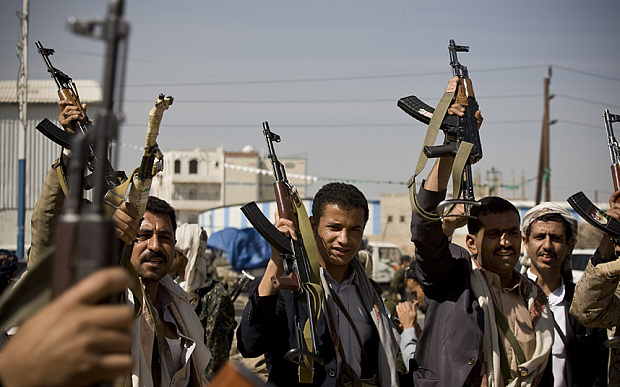 Should the United States seek to work with the Houti rebel groups in Yemen? Should it respect the request of the Yemeni government to refrain from intervening in the country? Why? The Iraqi government today reported that it had lost control of the strategic city of Fallujah west of Baghdad. The admission comes after days of fighting between government forces and al-Qaeada and Sunni militias in the region. The fighting in Fallujah marks the highpoint in ongoing struggles between Sunni and Shi’a groups across Iraq, with Sunnis feeling that the government of Prime Minister Nouri al-Maliki has systematically favored Shi’as over Sunnis. Civilian deaths in Iraq in 2013 were at their highest level since 2008, and many observers fear that a full-scale sectarian conflict could be emerging. Does the loss of Fallujah signal the resurgence of al Qaeda in the region? If so, what if anything should the United States do to address the situation in Iraq? How Did 9/11 Change U.S. Foreign Policy? 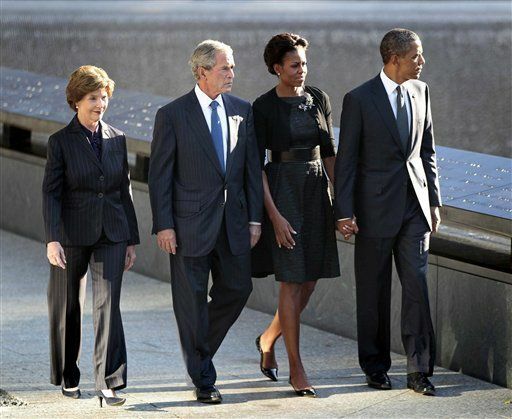 Presidents Bush and Obama visit the 9/11 Memorial with their wives on September 11, 2011. The legacy of 9/11 is the subject of ongoing debate. On the occasion of the 10th anniversary of the 9/11 attacks, a variety of policymakers, scholars, and pundits have (at times heatedly) discussed and debated the broader significance of 9/11. A common theme is that American foreign policy changed dramatically in the aftermath of the attacks, representing either a necessary reorientation toward a new threat environment (as defenders of the Bush administration suggest) or an over-reaching and self-defeating policy shift (as its critics allege). But how exactly did 9/11 change American foreign policy, and how revolutionary were these changes? The Bush administration certainly changed its foreign policy priorities, moving from a focus on relations with great powers such as China and Russia to an emphasis on the nexus between non-state terrorist groups such as Al Qaeda and “rogue states” such as Iran, Iraq, and North Korea, with known or suspected WMD programs. Bush and his advisers also moved away from a reliance on deterrence and containment (status-quo oriented pillars of the Cold War era) and embraced the need for more transformational policies of preemptive action and regime change under certain circumstances. Bush also jettisoned his pre-9/11 aversion to “nation building” and came to view failed states not only as a humanitarian problem but as a security threat of the highest order (insofar as they provided potential safe havens for terrorists). Finally, Bush famously articulated a “freedom agenda” that centered on democracy promotion, particularly in the Arab and Muslim world, as an antidote to extremism. What do you think? Was the Bush administration’s post-9/11 foreign policy a radical break from America’s past? If so, how? Which of these Bush-era policies have continued under President Obama, and which (if any) has Obama reversed? Is America safer or more vulnerable as a result? Did Obama “Flinch” on Afghanistan? President Obama announces a timeline for withdrawing forces from Afghanistan in an address to the nation on June 22, 2011. In President Obama’s speech to the nation on Wednesday night, he announced that he would be withdrawing 10,000 U.S. troops from Afghanistan by the end of 2011 and an additional 23,000 by summer 2012. This would leave the U.S. with 68,000 troops by next summer, and the administration has pledged to withdraw all forces by the end of 2014. As noted by David Rothkopf, this withdrawal plan is too slow for some critics (most of whom are on the political left), and too fast for others (generally on the political right). Most of the criticism is coming from the conservative side of the political spectrum, and it highlights some crucial strategic dilemmas associated with counterinsurgency–the type of war the U.S. has increasingly found itself engaged in since 9/11. Counterinsurgency warfare focuses on providing security for the civilian population and winning the “hearts and minds” of the people so they support the government rather than the insurgents. Many critics of Obama’s withdrawal plan have suggested that by adhering to arbitrary deadlines for withdrawal–based on domestic political pressure rather than conditions on the ground in Afghanistan–Obama risks undoing all the progress that has been made at enormous cost, in blood and treasure, over the past decade (including Obama’s own “surge” of forces in late 2009). An oft-repeated concern is that by setting clear timetables for withdrawal America signals the enemy that they can just “wait us out” and signals Afghan civilians that we won’t be there to protect them from these militants, so they had better start hedging their bets. The counterarguments provided by Obama and Congressional Democrats include (a) we are winning and we will keep the pressure on the Taliban and Al Qaeda, both in Afghanistan and Pakistan (e.g., through drone strikes), as we withdraw our ground forces, and (b) setting clear deadlines for withdrawal forces Afghanistan’s government to step up, “grow up,” and take on the roles of providing security and providing basic services instead of remaining dependent on American assistance. Who do you think is right? 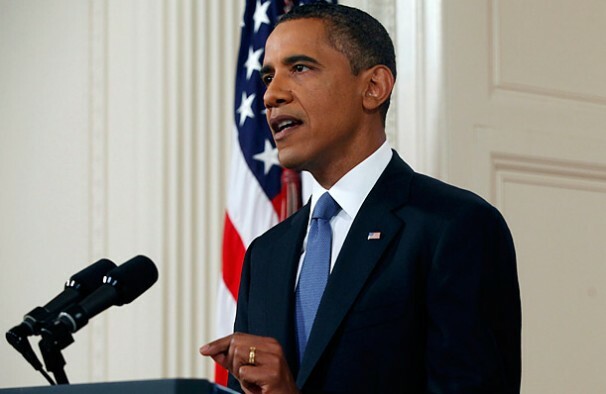 Is Obama’s withdrawal schedule too fast, too slow, or just right? Does it ignore the realities of counterinsurgency warfare, the commitment of our adversaries, and the politics of the region, or is it a sensible policy for ending this costly war and beginning, as Obama declared in his speech, to “focus on nation building here at home”?